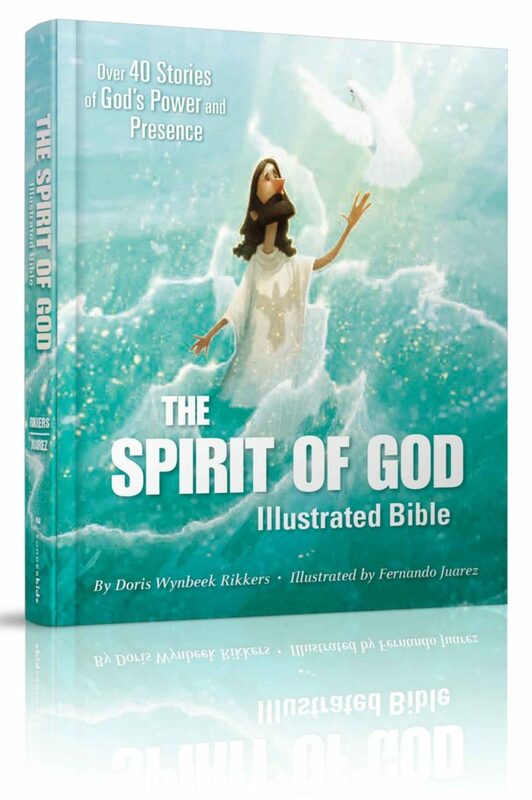 The Spirit of God Illustrated Bible is a great book helping teach the stories of the Bible. It’s certainly one that belongs in the hands of every child! Be sure & scroll down to check out the other giveaways! 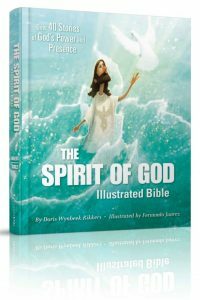 The Spirit Of God is an illustrated Bible for children. It is so beautifully done and I really enjoyed the cartoon like images of both the old and new Testament. Each story begins with a scripture directly from the Bible then begins the story, tells where the story can be found in the Bible and is written in a way that children can easily understand. It is very easy to read and would be a perfect way to begin the most important foundation any of could have. I highly recommend this Illustrated Bible for any child up to probably age 10 or so depending on their level. It is simple to help them understand and strengthen their knowledge of the Kingdom. The verses and the reference to where the story is found is included in each story. Educationally speaking, this is fantastic! We can use this to teach them how and where to find the scripture! What a wonderful opportunity to demonstrate these skills! I’ve also reviewed this children’s Bible that you may enjoy as well as Roma Downey’s Prayers for children. Feel free to check them out, then order all three! Visit here to learn more and view a free sampler. 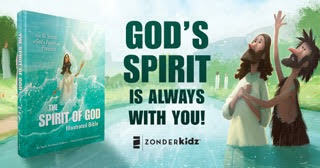 Description: The Spirit of God Illustrated Bible brings to life more than 40 Bible stories that help readers understand that God’s Spirit has been with us since the beginning of time and continues to be with us today. From the glory of creation through the powerful letters of Paul, God’s Spirit is living in his people. Old and New Testament stories such as Adam and Eve, Abraham, Joseph, the Baptism of Jesus, and Pentecost come alive with dramatic illustrations by Fernando Juarez and moving text by Doris Rikkers. With a cover that sparkles and shines with foil, this is a special storybook Bible that will appeal to both children and parents alike. Author Bio: Doris Rikkers is a freelance writer and editor who has written many bestselling children’s books and Bibles. Although she loves the ocean, she lives in Grand Rapids, Michigan, surrounded by books, flower gardens, family and friends. Illustrator Bio: Spanish artist Fernando Juarez illustrates children’s books and works as an art supervisor at the Madrid studio Ilion Animation. The company produces 3D feature films for children. Fernando has three kids himself, and if he has any time left after work and family, you might catch him playing guitar in a rock band.